It's pretty exciting. Even a small island in the Caribbean is hosting its very own Pride event. Which island? Curacao. 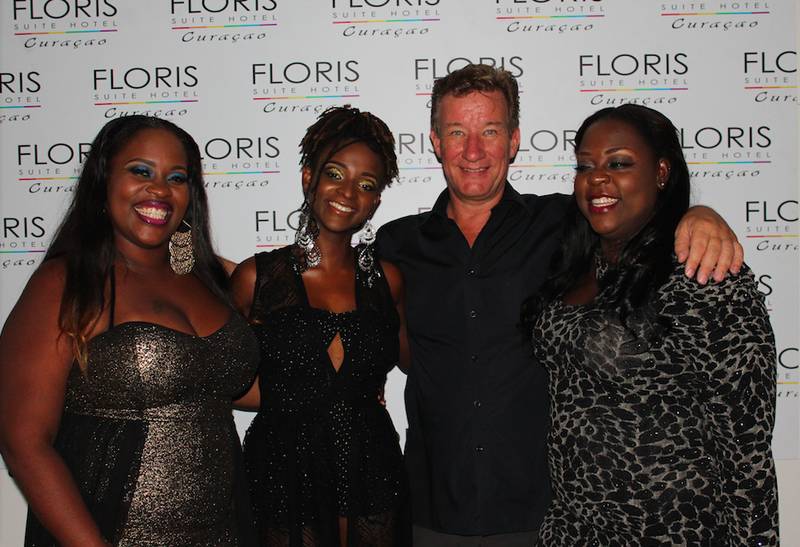 They are set to host their 2nd annual Curaçao PRIDE Festival from September 24-28, 2014. They are celebrating with a four-day blow-out that includes live music and DJ sets at a variety of bars and clubs on the island, themed parties, and a PRIDE sea-parade along the coast. The idea behind the event is to bring together neighboring Caribbean islands as a means for supporting their growing LGBT community. 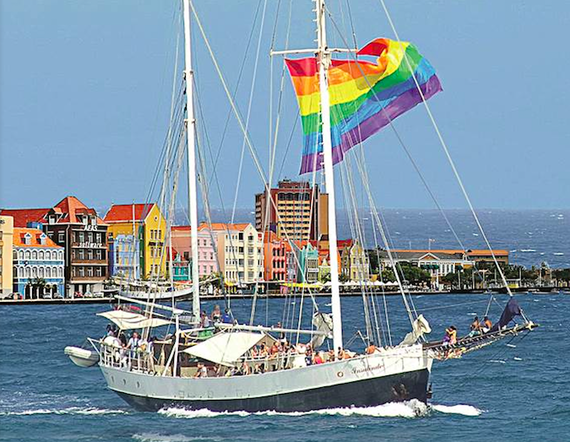 Curaçao is one of the region's pioneers when it comes to LGBT rights and equalities. 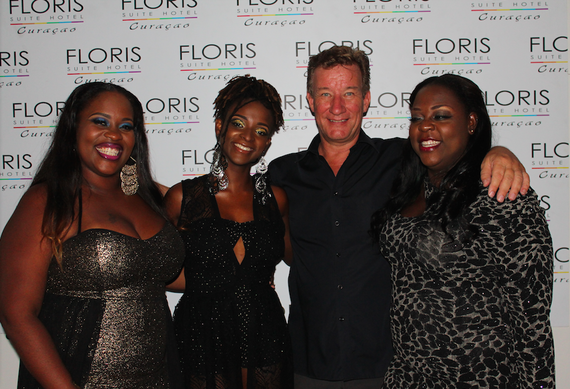 The host hotel for this year's event is the gay-owned, adults-only Floris Suite Hotel. 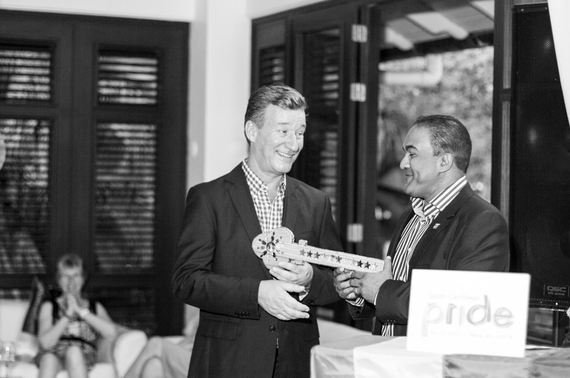 I was curious to learn more about Curacao's budding Pride and so reached out to Frank Holtslag, the General Manager at Floris Suite Hotel, who has lived in Curacao for five years (with a one year break in between), to get the scoop. 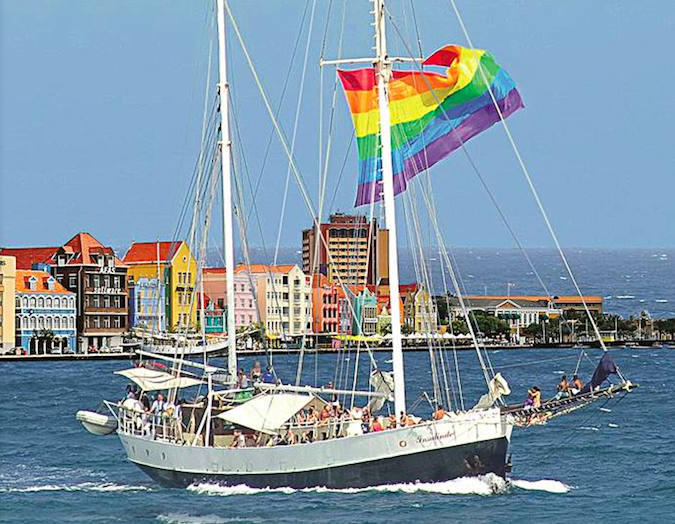 How would you characterize Curacao's attitudes and behavior's toward the LGBTQ community in Curaçao? And what about LGBTQ tourists? F: Curacao is very relaxed and friendly towards almost everyone. Including gay people. There is a live and let live attitude throughout the island. So, all is cool for the very most part. 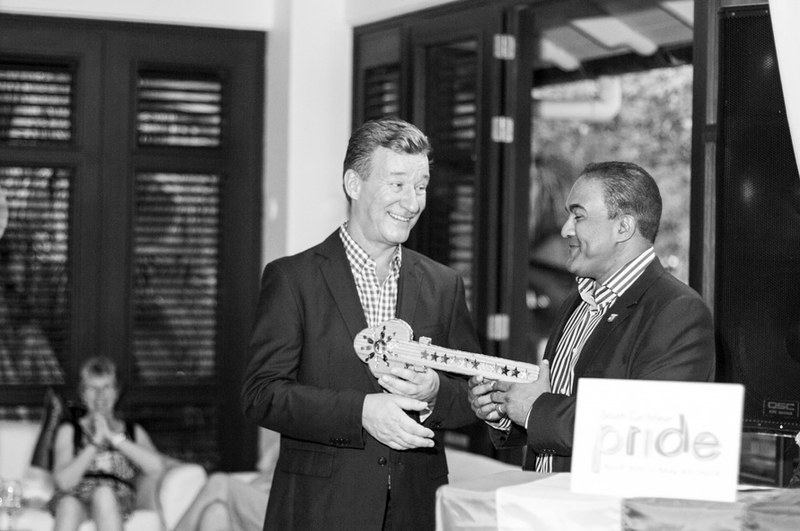 Gay events have been organized on Curacao over the past 10 years in good harmony with all. The tourists are great and very much welcomed. A couple of times a year large cruise ships with 100 percent gay passengers arrive from the states or elsewhere. They fill the streets of Willemstad for the day and it is always a lot of fun. The locals welcome them with open arms. This is Pride's second year in Curacao. Did they do anything prior to hosting an official Pride? Before that there was an event called "Get Wet Weekend" that was done for over 7 years. It was always the last weekend of September. What does the event encompass? F: There is an opening event on Wednesday, September 24th at "The Water Club." This year the opening will be performed by Mrs. Liza Dindial. She is the CEO of the Curacao Hotel and Tourism Association. Last time the opening was done by the Minister of Economic affairs, Mr. Stanley Palm. There will be live music by local and international performers and food and drink. On Thursday, there will be a Dinner/Cabaret night at Restaurant Sjalotte with music and entertainers from New York, South Beach and the Island itself. Friday will be The Rainbow Lounge special pride edition. The Rainbow Lounge is always every Friday. An early evening of lounge events for locals and visitors alike. During pride there will be a guest DJ playing. On Saturday, we will have The Sea Parade along the coast on the ocean with one main ship called The Insulinde followed by smaller ships. At night on Saturday, there will be the main event called The White Party with international DJ Erez Ben Ishay. All guests will be in white. The venue is around the pool area of Floris Suite Hotel. Food will be catered by the Hilton and the Marriott hotels. Cocktails will be done by restaurant Sjalotte. On Sunday there will be a beach party. The full program can be found on online. How would you describe the feeling of the event? F: It is a very multicultural event. Remember, Curacao is an island with a big European influence as it is part of The Netherlands. So, we have Dutch people visiting together with the locals. And then we have the visitors from the US, Colombia, Venezuela and so on as well. It makes for a very diverse crowd. Curacao Pride and LGBTQ life here is very unique in this region. And we are an example of how it can be for the entire Caribbean. Are there often protestors at the event? If so, how many? If so, do they hold signs, yell out, etc. If not, why do you think that is? F: No, not at all. We had one conservative person go on the radio last year and again this year on TV a couple of weeks ago. But all that died down really quickly. She and some people from a church group are against having a Pride. Certainly no protestors at all. Curacao is a peaceful island. No signs, no yelling, at all. Why should people from outside of Curaçao come to Pride? F: To experience the celebration of tolerance and acceptance in paradise with sun, sea, sand and many smiles!